"When I was making it there was a kind of quest to connect these different generations." Sometimes it takes trans-Atlantic interest and collaboration to bring a passion project from the planning stages into fruition. 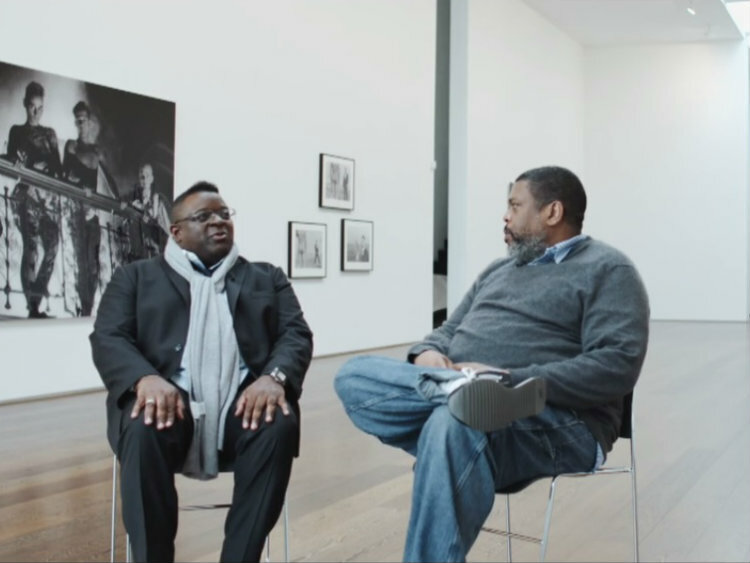 To mark the occasion of Isaac Julien’s photography exhibit at the Victoria Miro Gallery in London (through July 29), “I Dream a world” Looking for Langston, he sat down with Pulitzer winner Hilton Als to discuss the trepidations of the project and the inspiration behind it. The pair also discuss how the work relates to black gay desire, the AIDS crisis and movement, and the ever-present specter of discrimination that haunts society. Watch their conversation below, and find more information on the exhibit, here. Looking for Langston: Isaac Julien in conversation with Hilton Als from Victoria Miro on Vimeo.